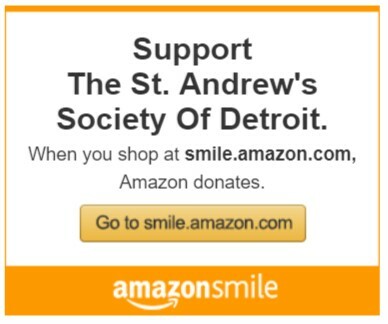 The St. Andrew’s Society of Detroit is a 501(C)3 nonprofit charity dedicated to promoting Scottish heritage. Your donation will help to improve our longstanding efforts to maintain our Scottish identity and traditions. Your donation is tax-deductible to the full extent of the law. Detroit Scots / St. Andrew's Society of Detroit © 2019.